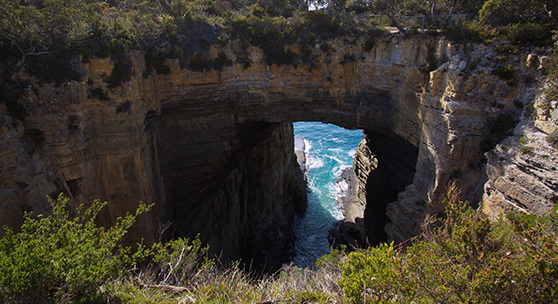 The Tasman Peninsula is a vibrant region that is world renowned for its convict era heritage and its geographical features. Beyond exploring and learning, the region offers an ever growing selection of artisanal food experiences. Located on Pirates Bay Drive. 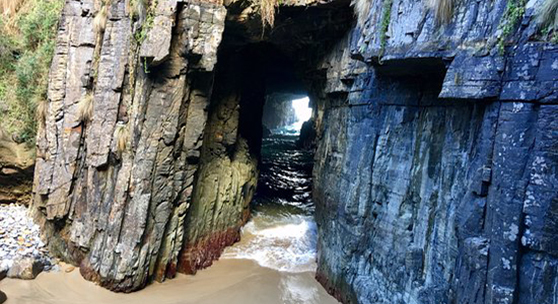 This unique natural rock formation is found only in this section of the coastline. The nearest thing to the Pavement is the Giant’s Causeway in Ireland. Located off the Arthur Highway at Port Arthur. 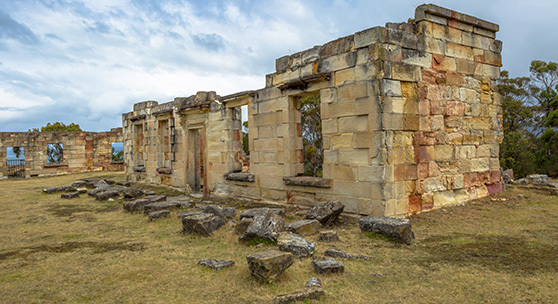 This historic site is one of the best known tourist attractions in Tasmania. A colony for transported convicts from England in the 1800s, it’s main purpose was to house those convicts who re-offended in Australia. 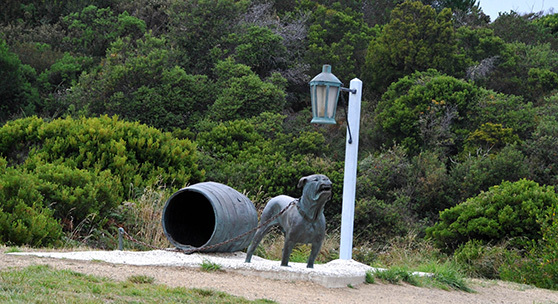 Located at Eaglehawk Neck, entrance from Pirates Bay Drive just off the Arthur Highway. This is reputed to be the only timber military building left standing in Australia. 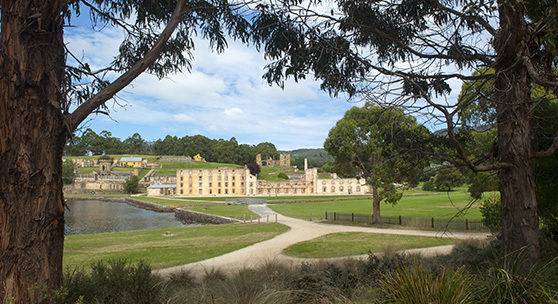 Its original purpose was to house guards whose only duty was to stop the escape of convicts from the Port Arthur Penal Colony. The notorious Dog Line is located on the short circular walk from the Officers Quarters, passing through the dog line, onto the beach and back to the card park. Free entry to this building allows people to explore the building and re-live some of the history of the area. Located at the end of Safety Cove Road. Another “must not miss”. Check out the lookout at the end of the road. The waters of Maingon Bay can be spectacular when the weather comes from the south or southeast. A walk down a few steps (maybe quite a few steps) takes you to the Remarkable Cave. From a particular angle, the cave takes on the shape of Tasmania! There are public toilets at the Remarkable Cave. You can’t miss the kms of ocean beach. The northern end of the bay is punctuated by Clydes Island. 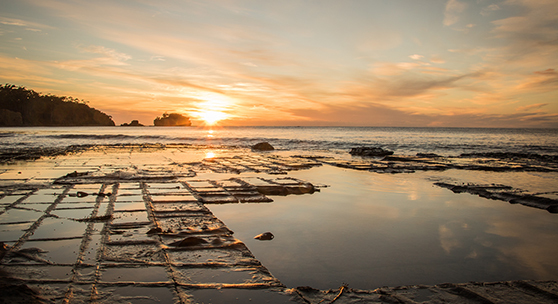 A walk along the beach, past the Tessellated Pavement , will reward you with some fantastic views of the coastline, a blowhole which starts on one side of the island and blows on the other, and get up close and personal with some bull kelp. 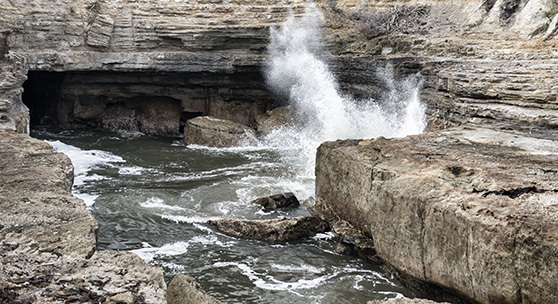 A walk south along the beach rewards you with some remarkable rock formations. Located on the Arthur Highway, above 2½ kms south of Mason’s Cottages. By day you can see devils feeding and a live bird show. 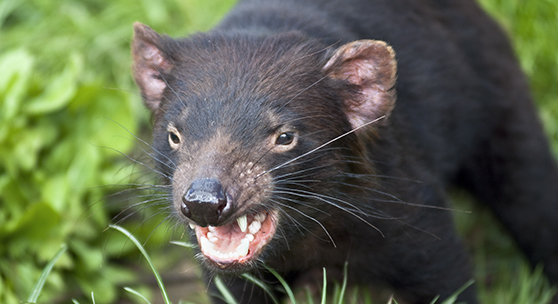 Additionally you can meet interesting and unique animals, such as the rare golden possums, eagles, owls and colourful parrots. You can hand feed kangaroos and walk among friendly wallabies. The Coal Mines site has World Heritage Listing, and is one of the many convict settlements in the region. The site is not manned, but is well sign posted to provide information for visitors. The underground cells can be entered to experience what some prisoners had endured. Located at the end of Waterfall Bay Road, off Blowhole Road. 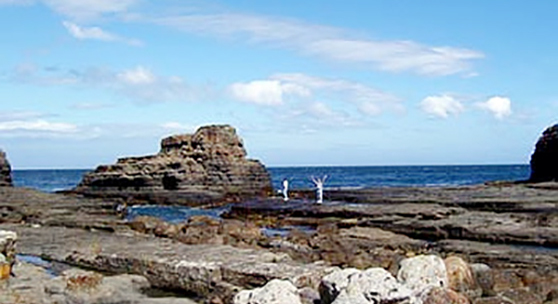 There is a 1 to 1½ hour return walk starting at the Devil’s Kitchen carpark, following the cliff top to Waterfall Bay. The lookouts along this walk offer spectacular views of this natural and pristine area. This walk is wheelchair friendly. Alternatively you can drive to the Bay via Waterfall Bay Road. Located off Blowhole Road (follow the signs). 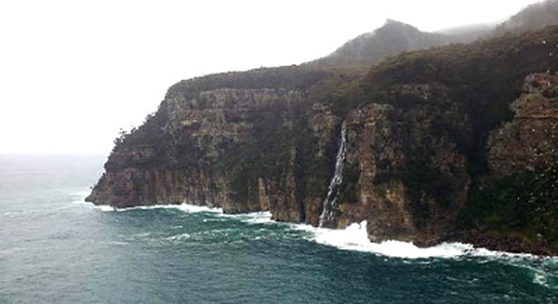 These are examples of what happens when the sea pounds the base of cliffs over time. Located at the end of Blowhole Road. A natural rock feature, but does not always “blow”. A walk up to the lookouts provide another opportunity to experience the sheer beauty and majesty of the Tasman Peninsula coastline. The jetty near the Blowhole is a working jetty, servicing fishing and crayfish boats, and a couple of tourist operators. There are public toilets at the Blowhole.